Rihanna has reportedly turned down the chance to headline 2019’s Super Bowl Halftime show in solidarity with Colin Kaepernick. The Bajan singer was allegedly the number one choice for the performance, which has previously hosted the likes of Paul McCartney, Prince and Beyonce. However rumour has it she shunned the event to support the ex-San Francisco 49ers quarterback, Colin Kaepernick, who spearheaded the ‘take a knee’ movement in protest of police brutality back in 2016. 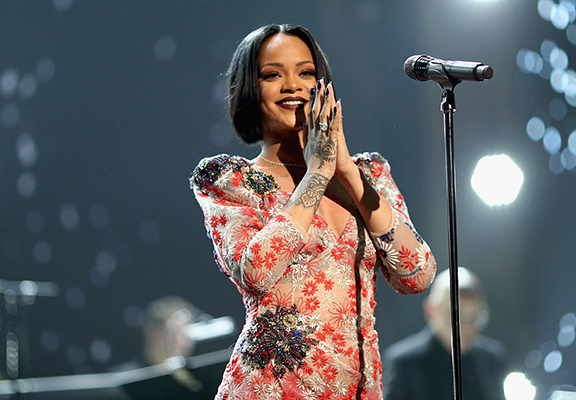 Rihanna was the front-runner for next year’s super bowl halftime show. CBS and the NFL reached out to Rihanna first, who after thinking about the offer, decided to pass due to the NFL and the situation regarding players kneeling. ‘The offer and exposure would have been great for Rihanna as she’s planning a new album and your but she stuck to what’s right in her eyes,’ the report added. People don’t realize what’s really going on in this country. There are a lot of things that are going on that are unjust. People aren’t being held accountable for. And that’s something that needs to change. That’s something that this country stands for freedom, liberty and justice for all. And it’s not happening for all right now. It’s something that I’ve seen, I’ve felt, wasn’t quite sure how to deal with originally. And it is something that’s evolved. It’s something that as I’ve gained more knowledge about, what’s gone on in this country in the past, what’s going on currently. These aren’t new situations. This isn’t new ground. There are things that have gone on in this country for years and years and have never been addressed, and they need to be. I have great respect for the men and women that have fought for this country. I have family, I have friends that have gone and fought for this country. And they fight for freedom, they fight for the people, they fight for liberty and justice, for everyone. That’s not happening. People are dying in vain because this country isn’t holding their end of the bargain up, as far as giving freedom and justice, liberty to everybody. That’s something that’s not happening. Kaepernick has been making news lately, mostly because of his sponsorship with Nike for their 30th anniversary campaign. Refusing to bow down to pressure, the corporation headed up its ‘Just Do It’ campaign with the athlete. 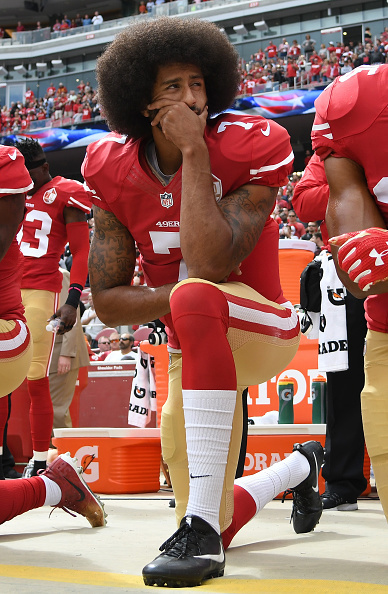 Nike justified its actions, telling ESPN Kaepernick ‘is one of the most inspirational athletes of this generation’. Their share price reached an all-time high and online sales grew 31 per cent as a result.